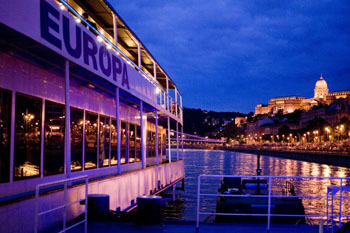 A festive boat tour on the Danube in the evening, over the Easter weekend, complete with delicious dinner, drinks and live music. 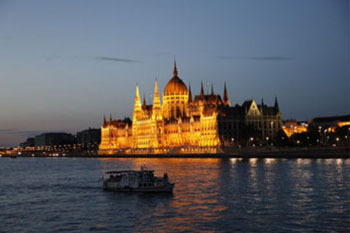 Spend a memorable Easter evening on a cruise on the Danube in Budapest. The panorama boats are heated/air-conditioned depending on the weather. The upper deck is an ideal spot to shoot amazing photos. Our 2-hour river tour with warm buffet dinner allows you to see the city when illuminated after sunset. 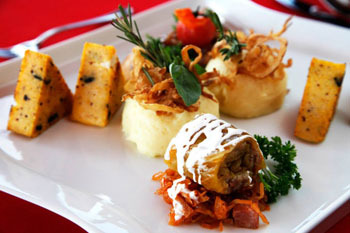 You can admire the world-renowned sights sparkling against the evening sky while eating a splendid dinner of 5 courses. 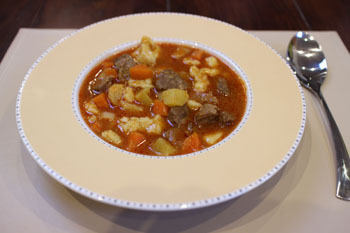 goulash soup – thick soup with beef cubes, carrots and parsnip, and pinched noodles, called csipetke. chicken paprikash – chicken pieces browned in oil with onions, paprika spice resulting in a flavourful sauce (thickened usually with sour cream). 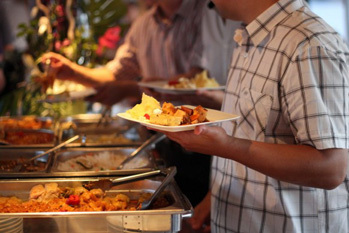 If you don’t eat meat you’ll find dishes on the buffet table fit for vegetarians too. Several options in price (with or without dinner, students). the beautiful bridges: Margaret Bridge, Chain Bridge, Elizabeth bridge, Liberty Bridge, Petőfi bridge and Rákóczi Bridge. 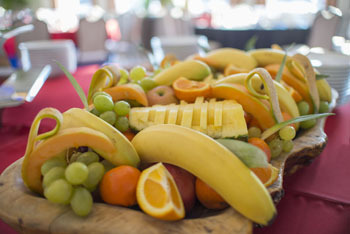 TIP: If you prefer to tour the river early afternoon choose our Cruise with Buffet Lunch/Drinks at 2 pm every day. TIP: You can opt for a Wine Tasting & Cruise at 19.00 or 22.00 if you’d rather skip dinner. 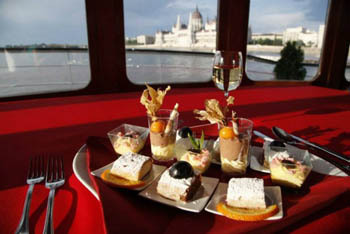 You can sample 7 local wines – including 3 from the famous Tokaj region – on the 2 hour or 1,5-hour (at 22.00) boat tour. Please present it in print form or on your mobile/tablet to our staff at the meeting place, the Danube Palace. 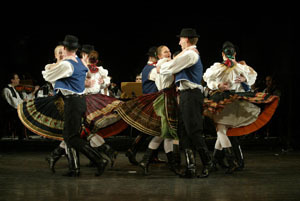 Folk Dance Performances in the Danube Palace’s Theatre Hall: 2 x 45 minute program highlighting the country’s rich folk heritage. 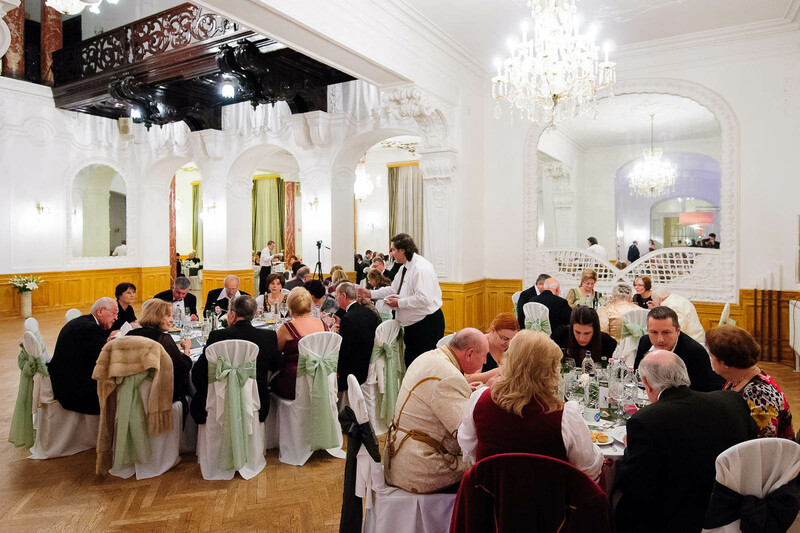 The venue, Duna Palota, is located in the centre, a short walk from the Basilica. Can be easily reached by walk or tram 2 from any point in downtown Budapest.